Happy New Year Rock Poster Fans! From everyone at TRPS, we wish you another year of health, happiness, and amazing psychedelic rock art. There is much in the works for this year including our Annual Festival of Rock Posters at the Hall of Flowers in Golden Gate Park, scheduled for Saturday October 19,2013. If you have a Facebook account, join the event at Festival of Rock Posters 2013. In case you missed it, Ben Mark’s Classic New Year’s Eve Rock Posters on Collectors Weekly is a must read. 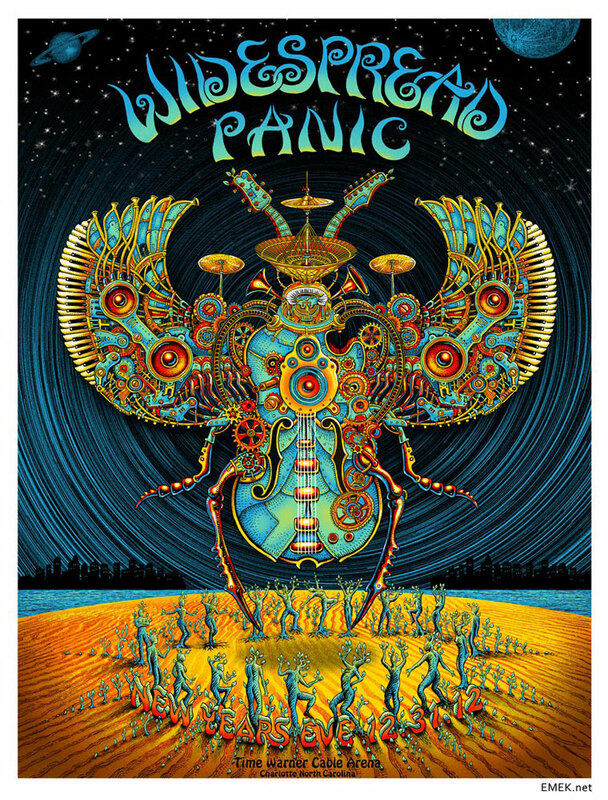 Emek released a video showcasing all of his art from 2012.